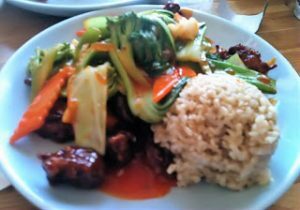 This post is part of a series showcasing local restaurants with vegan friendly cuisine. It is my intention to create a vegan friendly dining guide, as I know how difficult it can be to find dining options. I was not paid for these reviews and all opinions are my own. I have been following Cartems on Instagram for a while, and as soon as I found out they have vegan donuts, I knew I had to visit asap. This past Monday we headed into the city to watch a screening of a new movie and it was the perfect opportunity to try their donuts. The movie was nothing to write home about (71, anyone else seen it?) but the donuts were amazing. 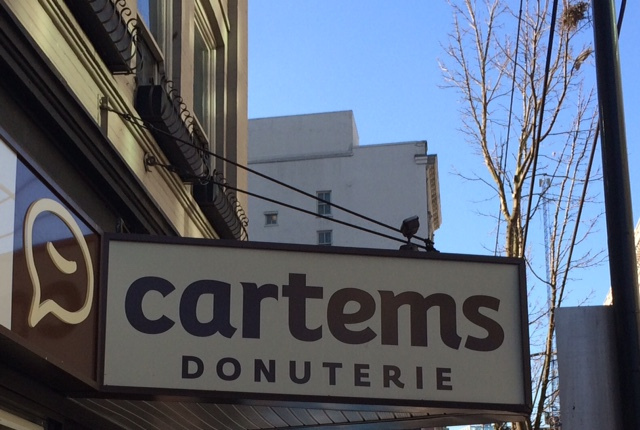 Cartems donuts are fresh baked throughout the day, they source local ingredients wherever possible, they dont use any stabilizers or preservatives and they offer gluten free and baked donuts, if you want something on the lighter side. While I cant speak for the regular donuts, we tried every vegan flavour available that day. 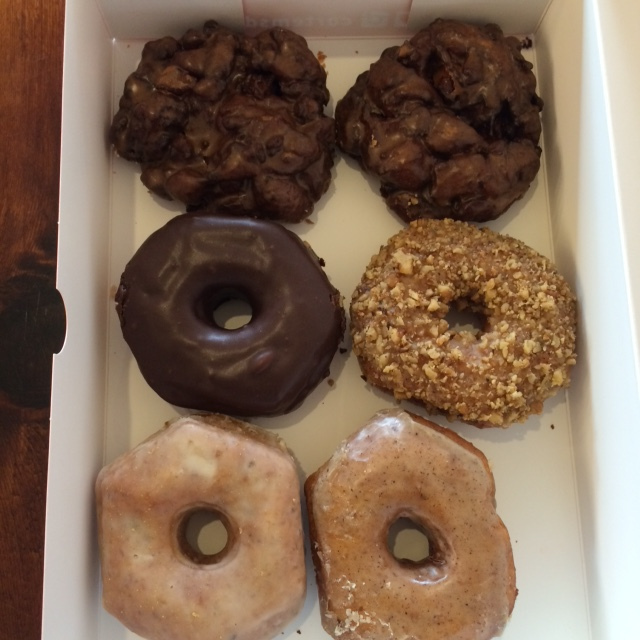 From the top left are two apple fritters, chocolate glazed, maple walnut, vanilla bean, and 33 acres of nirvana. We were going for dinner afterwards so we couldnt eat too much (unfortunately). My favorite was the apple fritter (although they were all incredibly good) and my least favourite was the maple walnut, it was too smoky for me. The dough was incredibly fresh, they were pillowy soft and the icing was still warm. In addition a glass of fresh lemon juice from zitruspresse was served. I hadnt had donuts since going vegan (over 2 years), and these were worth the wait! Im not usually a big sweets eater and I try to avoid most sugar, so a bite of each donut was enough for me. I would highly recommend a visit to Cartems if youre in the neighbourhood or craving a vegan sweet treat. The staff was friendly, the donuts were fresh and delicious and the prices fair. Yesterday, I had a nasty headache and really didn’t eat much. I made a green smoothie and had some little snacks but wasn’t feeling like eating. I think it was just a detox headache that you get sometimes from eating raw or just cleaner in general. Eating more wasn’t helping so I just took it easy. Today, (day 7) started out better but the headache reappeared. Hopefully I’ll be back to normal tomorrow and I will do a better job taking pics of my eats. I did snap a pic of my awesome organic CSA basket. I just ordered the small box to try it out. It has 12 jalapenos, 2 small green bell peppers, 1 head of lettuce, 1 pint cherry tomatoes, figs, 3 potatoes, 1 head of broccoli, 3 large tomatoes, a bouquet of mixed herbs, 4 carrots, 4 pears, and 1 bunch of grapes. Pretty awesome amount for the small box. Going to have fun making use of all this produce. Breakfast was a banana with vanilla almond butter. 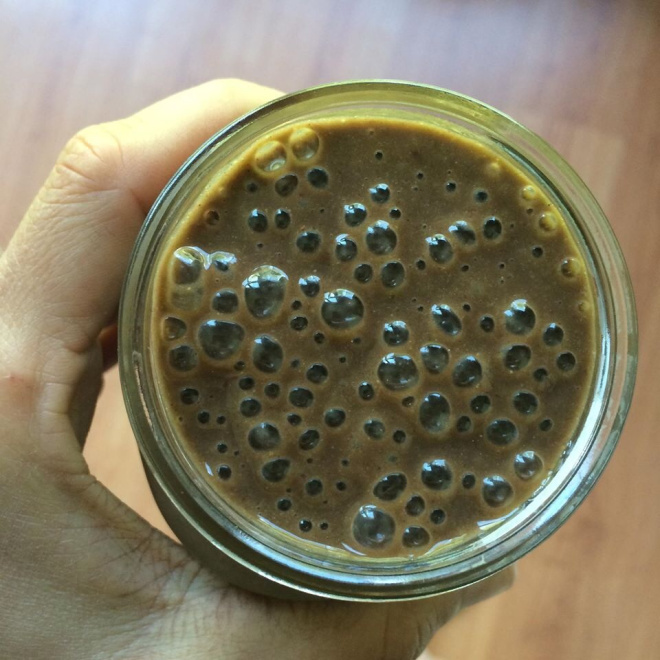 No, the vanilla almond butter is not raw but it is sooo good! Lunch was my usual green smoothie of mixed greens, banana, frozen mango, almond milk, & chia seeds. Dinner was the exciting part. I made 2 recipes by Ani Phyo, Raw Tomato Chili and Raw Taco Nut Meat. You should make these, seriously, go make them. Yes, now. Loved these both so much and they came together pretty easy. I did add a little more Bragg’s to the raw taco nut meat but after that, it was great. Here’s mine with the raw taco nut meat on top. So happy I have more in my fridge. Will definitely be making this again! Snacks were a couple pluots and some cherry tomatoes with hummus. I haven’t had a pluot in a long time, forgot how good they are. Feeling pretty great after today! Really wish I had some more of those pluots, I will buy more next time I go to Whole Foods. I didn’t take pics of all my meals over the weekend but here’s a few. Yesterday morning, I made banana ice cream for breakfast. I blended up two frozen bananas with about a tablespoon raw almond butter. 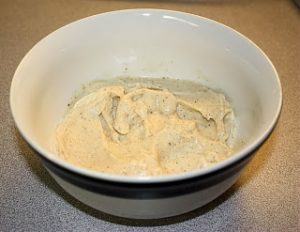 The almond butter is optional of course, you can flavor banana ice cream about a million ways or eat it plain. Sometimes I add walnuts to mine or strawberries. We ate out for lunch yesterday at The Loving Hut. 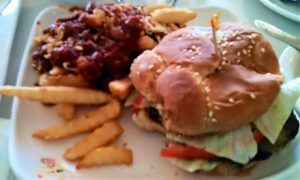 I got the Loving Hut burger with chili “cheese” fries. It was my first time trying the chili fries and they were really good. The burger was amazing as always. For dinner tonight, I made Cheezy Potato Broccoli soup based on this recipe from Healthy Happy Life. 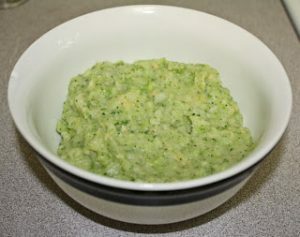 I didn’t follow the recipe exactly and mine came out more like broccoli mashed potatoes but still delicious. Will definitely be making this again! 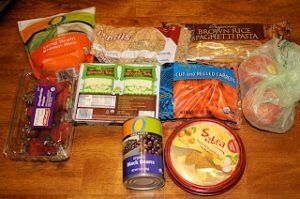 I also picked up some items from Trader Joes and Vons. Didn’t need much since I still have produce from my CSA basket. I got brown rice, lentils, brown rice pasta, baby carrots, strawberries, sprouted tofu, black beans, hummus, and heirloom tomatoes. I also picked up some frozen broccoli and kale chips that I forgot to put in the pic. As I catching up on blogs the other day, I saw a cool post by Sarah at This is What I Eat for strawberries covered in a cookie dough dip. 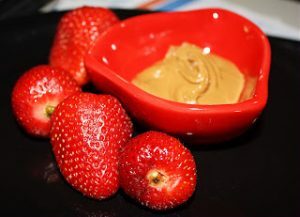 I happened to have some strawberries and it made me wonder if they might be good dipped into some sunflower butter and they are! Really good! Never would of thought of trying that before but the flavors are great together. Also the husband and I had a chance to go to lunch together earlier this week while the kiddos were at school. We went to Sipz, a local vegetarian restaurant. I was so excited to see they had vegan boba tea. I got the strawberry flavored one with almond milk. My husband got strawberry lemonade which you can see peeking through in the background. 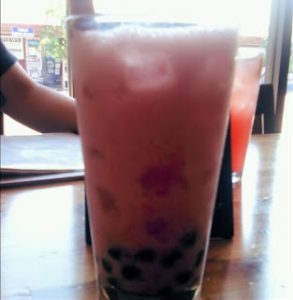 I would go back here just for the boba tea! We ordered the appetizer sampler to split and really enjoyed this, even more than my lunch plate but more on that in a sec. 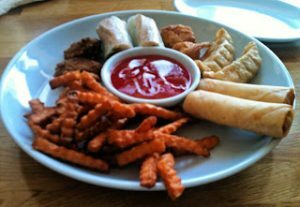 The sampler had sweet potato fries, crispy rolls, dumplings, spring rolls, and wontons. The dumplings were my favorite as well as the sweet potato fries. I ordered the orange “chicken” with brown rice and mixed veggies for my entree. Wasn’t in love with it. The orange was way too strong. The menu said it is a favorite dish but I won’t be ordering it again. Way too sweet and that didn’t go well with the mock meat or veggies. Maybe that’s just me though. My husband got the kung pao and liked it but he said he would go for the mild next time instead of the spicy. Will definitely go back sometime in the future. 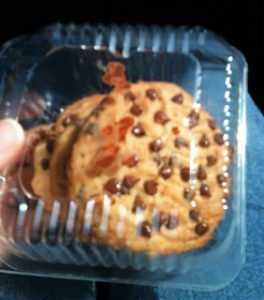 We also took home some yummy vegan chocolate chips cookies to split. Have you ever tried Shakeology or Vega One? What are your favourite protein powders? And why? Heres to a happy Monday and a productive week! Ever since going plant based over 2 years ago Ive been using Vega protein powder in my smoothies. Its plant based, locally made, and has lots of beneficial properties. My go to smoothie is made with fruit, almond milk, chia seeds, cacao, maca, spinach, oats, vanilla and cinnamon. While I love the taste of this smoothie, it requires a lot of ingredients and it doesnt keep me satisfied very long. I work a physically demanding job and I workout every day so I need to ensure Im getting adequate protein, nutrients and superfoods to fuel my body. I was introduced to shakeology a month ago and my life is changed. Shakeology is a high quality, nutrient dense superfood protein powder. It contains proteins, enzymes, probiotics and probiotics, amino acids, antioxidants and phytonutrients. It helps balance digestion and restore daily health, curbs cravings, aids in detoxification and supporting an ideal weight. Shakeology is incredibly satisfying, it curbs sugar cravings and it gives me incredible energy to fuel me through my busy day and workouts. There are several flavours chocolate, vanilla, strawberry, greenberry tropical strawberry(vegan) and vegan chocolate. Personally Ive only tried the vegan chocolate, and it far exceeds any protein powder Ive ever tried. While Vega contains a few simple to find superfoods, Shakeology has sought out superfoods from around the world that are impossible to replicate. 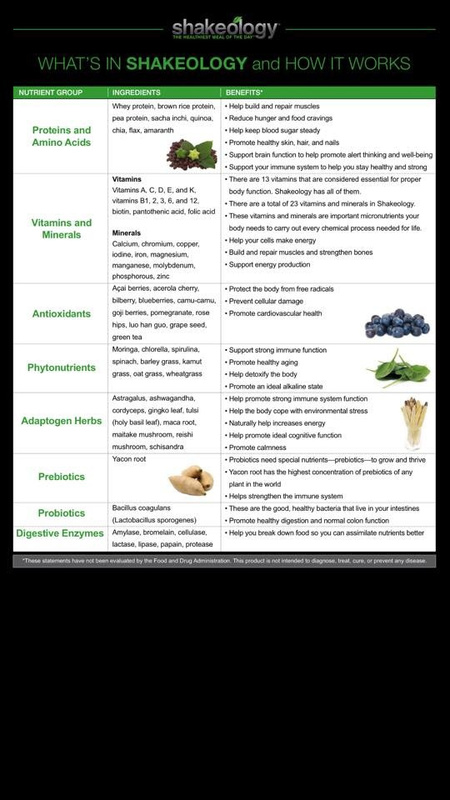 There are many benefits to both Vega and Shakeology but the biggest difference for me is the way I feel. My body performs better and recovers faster when I use Shakeology and for me that is of utmost importance. Shakeology works out to $4.20 a serving which is cheaper than a) fast food, b) Starbucks and c) a smoothie at your local cafe or Whole Foods. It is safe to drink when pregnant, or breast feeding and its low GI so its a great option for diabetics. Below is my favourite smoothie recipe, it tastes just like a banana split! It works out to 300 calories, 9 grams of fat and 18 grams of protein.